Cloud Stinger Headset Let’s start with the headset. 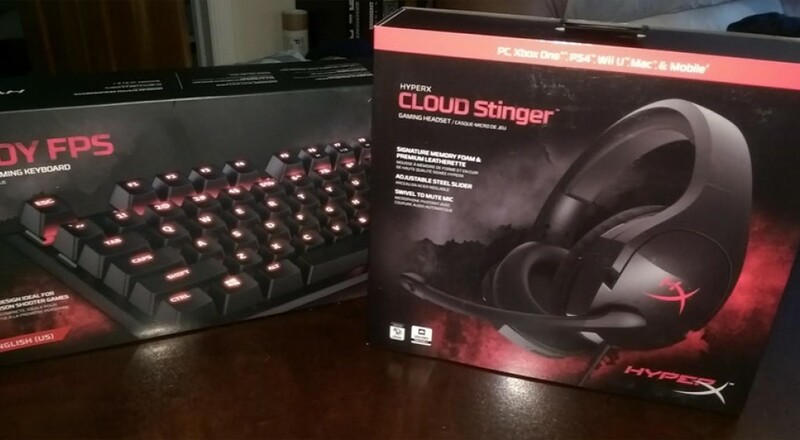 The Cloud Stinger is the latest in the HyperX headset family. It follows several others in the Cloud Series and Cloud Revolver Series. 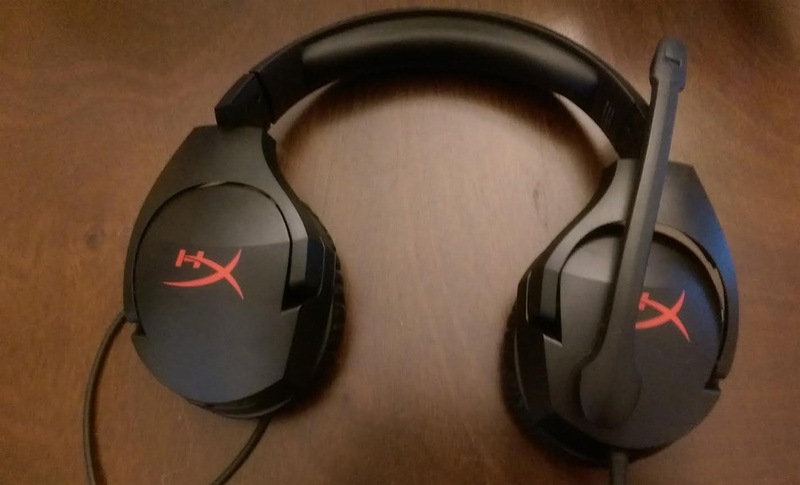 The Cloud Stinger was manifested from HyperX’s desire to create a durable and comfortable piece of gear with high sound quality for under $50. The headset’s slogan is even “the best gaming headset for under $50." 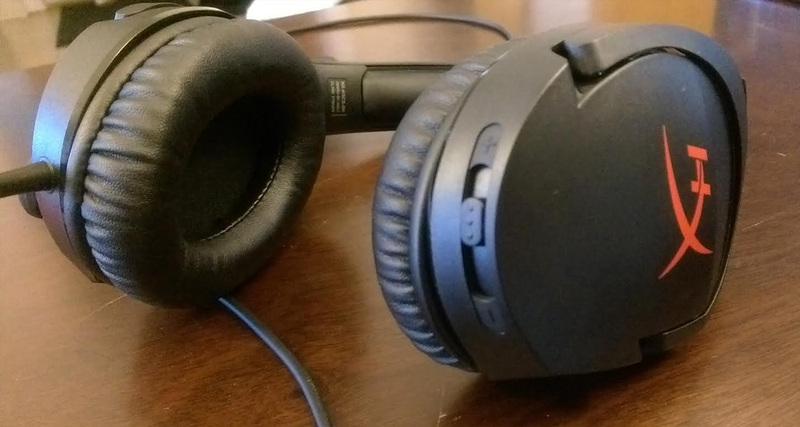 While the Cloud Stinger is a fairly simple headset, it still totes some impressive features. The ear cups are made of memory foam (like all Cloud headsets) and swivel 90 degrees, with the volume control located directly on the right earcup. The microphone will automatically mute when put into the upright position. The cord runs directly from the headset about 3 feet to a single 3.5mm jack which can plug directly into a controller, phone, or an adapter. For your PC, the headset comes with a PC extension cable that has dual 3.5 stereo and mic plugs. This set-up allows for the Stinger to be fully multi-platform ready. I’ve used it on my PC, PS4, and Android phone with absolutely no problems and no additional connectors needed (though I switched to a USB extension cable that I had lying around for my PC, due to personal preference). The Stinger is also compatible for the WiiU, Xbox One, and other mobile devices, but may require additional adapters. I’ve had many headsets throughout the years, ranging anywhere from $20-$120, so the Cloud Stinger falls right into the center of all of those. Obviously there are much more expensive headsets out there, so let’s touch on the features the Cloud Stinger forgoes to keep its price point low. It has no LEDs, it’s not wireless, and there’s no special sound mixer or Surround Sound options included. For users that want a USB or Xbox One plug, the Stinger can easily connect to them, but they are not included in the box. Aside from a USB connection, these are not generally features I seek out in a headset, but they are omissions you should be aware of. What the Stinger seeks to deliver is comfort, durability, and quality sound. On the comfort side of things, the band sits well on my head, with no slipping or pressing. The earcups themselves are comfortable and the leatherette encasing them seems easy to clean, unlike fabric. Concerning durability, I’ve already dropped them from my desk to my floor a few times and they haven’t suffered any damage (this simple drop has done in more headsets than I can count). I found the sound quality to be good, with the earcups muffling, but not cutting off, background sound. I’m not sure if they’d satisfy a musicphile who uses their headphones to primarily listen to concert music, but they accomplish the job I want them to do well: playing games, using voice chat programs, and listening to music while I do work. The ability to flip up the mic to automatically mute (as opposed to hunting down a mute button) is a handy feature and the mic quality seems good, both from doing some test audio recording for myself and from what my friends say when I asked them. I appreciate having the volume control located right on the earcup as well; it makes it much easier to adjust the volume in the middle of playing a game. Is it the best for under $50? Obviously that’s impossible to know, but I found the quality to be extremely impressive for that price. I certainly can’t point to any individual headset I’ve owned for $50 or less that was better and it’s even on par (in terms of comfort and sound/mic quality) with headsets I’ve bought in the past with price tags $20-$30 higher. The features are pretty basic, but it’s an excellent headset for a gamer who’s looking for a quality experience for a modest price.